The creative use of masks in theatre ranges from the abstract style of Japanese noh theatre to the introverted, tortured genius of Frank Sidebottom. 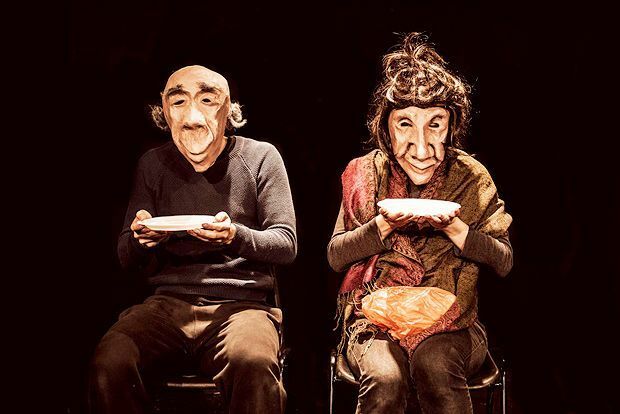 Building on this versatility, this year's Fringe features two English theatre companies attempting to explore the tricky subjects of dementia and homelessness through the original use of masks. Hailing from Worcestershire, Vamos Theatre are bringing their production Finding Joy to Edinburgh, charting the relationship between Joy, a woman in her 80's, and Danny, her grandson. When Joy finds herself struggling with the impact of increasing dementia, Danny steps up to the challenge of being Joy's domestic carer, creating a transformative experience for both of them. Anyone who has experienced caring for a loved one knows the effects of dementia are no laughing matter, but Vamos Theatre founder Rachael Savage saw an opportunity to use light and shade to create a fuller, deeper picture of how a caring relationship can develop. After months of research, Finding Joy was created as a wordless piece using full masks and music to depict Joy and Danny's interactions, aiming to capture ordinary, everyday interactions and making them into something extraordinary. 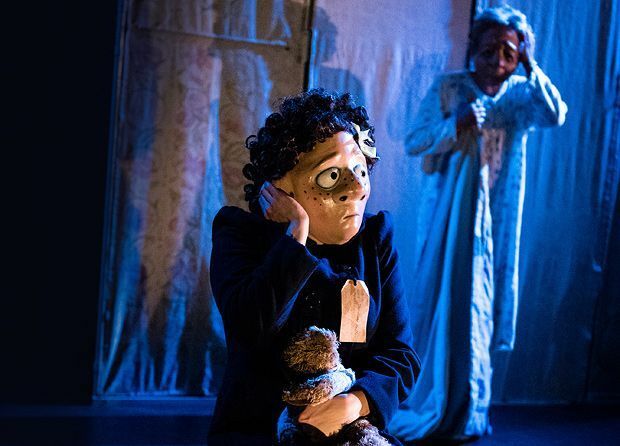 The subject of homelessness might seem just as daunting as dementia; Theatre Témoin are returning to the Fringe after 2013's hit The Fantasist, with a new production blending masks, puppets and physical theatre. After careful research of urban myths in environments as diverse as Rwanda and Miami, followed by a rigorous work-shopping process, the company have created a stark, modern drama set among homeless young people on the streets of London, but one with a streak of wonder running through it. The production, created with the help of the Everyman Theatre in Cheltenham, depicts the story of Jack, a homeless person who lives both in the tough reality of homelessness but also in a parallel world that exists inside his head. Jack has to navigate obstacles like the effects of his mother's alcoholism, but also the demons that his childhood traumas have freed to roam through his psyche, from evil witches to giant birds. Both productions seek to find a common ground with Edinburgh audiences, who recognise the artifice of the mask itself, but are prepared to look beyond and see how the performer's disguises might expose how individuals see themselves and the world outside. Collier's description of the reasons that Theatre Témoin chose to use masks mirrors the approach of Vamos Theatre too. Finding Joy, Assembly Hall, 6–14 Aug, 4.30pm, £13–£14 (£12–£13). Previews 4 7 5 Aug, £8. The Marked, Pleasance Dome, 6–29 Aug (not 17), 1.30pm, £9–£12 (£8–£11). Previews 3–5 Aug, £7. A mime show about a grandson looking after his grandmother who suffers from dementia. Theatre Temoin use mask, puppetry, and physical theatre to explore homelessness.